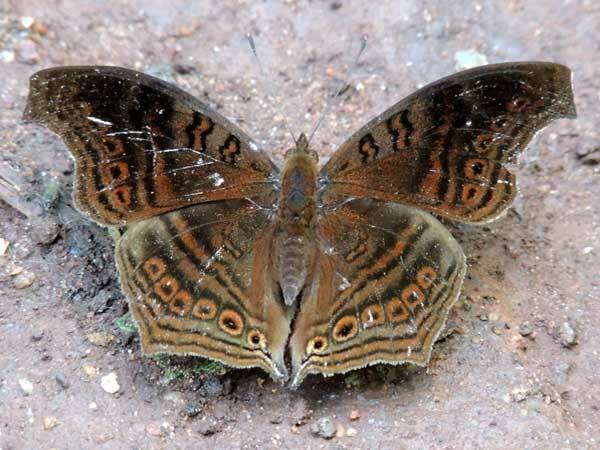 This butterfly was observed on a wet road surface through South Nandi Forest, Kenya, April 2013. The Brown Pansy (Junonia stygia) and the Golden Pansy (Junonia chorimene) are closely related and some authorities treat them as subspecies. Both varieies frequently perch on damp soil, particularily where there are salts present.